OWL again supported the YWCA's annual Women’s Legislative Caucus Breakfast on Wednesday, January 23rd at the YWCA’s Fuller Hall. The caucus is a formal, bipartisan, and bicameral caucus that each year introduces an official package of bills and resolutions in both the Senate and House of Representatives. The Caucus' legislative agenda focuses on women, children and families. This year's sold-out breakfast was organized to provide supporters with a preview of bills that will be proposed in the upcoming session. These bills cover a broad spectrum of issues of concern to women of all ages and economic background. Thank you to OWL members Renee Green, Cheryl Cross, Ann Nagel and Pam Harms for their assistance at the registration table during the Women's Legislative Caucus Breakfast! OWL members and guests met at the Halekulani Hotel on Monday, November 5th for the OWL annual meeting and lunch. OWL was honored to have Captain Susan Ballard, Honolulu Chief of Police, as the guest speaker. OWL member Stacia Murray was honored as the OWL 2018 Outstanding Leader of the Year. 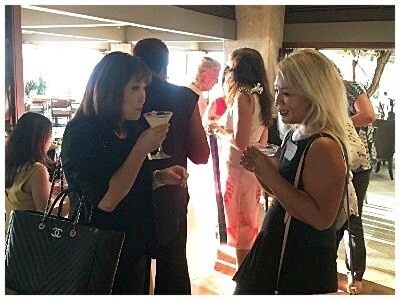 The 11th annual Hawaii Business Wahine Forum was held on October 25th. OWL once again supported this important event for women in Hawaii. Thank you to all the OWL ladies who helped man our booth and promote our great organization! 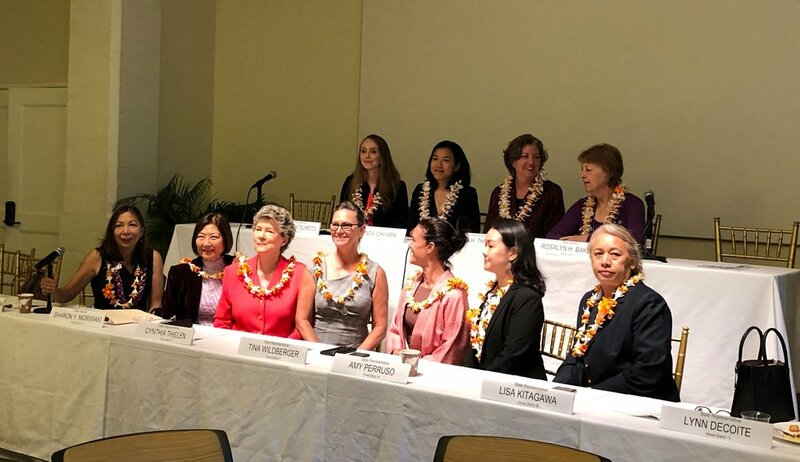 This year's forum centered on the theme “We Are Wahine." The theme was meant to encourage today’s women leaders to become mentors and sponsors for the next generation. 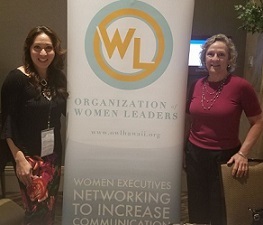 The conference featured about 35 local and national speakers in 13 sessions that focused on leadership, negotiating, building confidence and, especially, effective collaborations. The OWL Board of Directors would like to thank all of those who attended the OWL annual Pau Hana event at the Outrigger Canoe Club on October 3, 2018. Our annual OWL Fall Pau Hana was a great time for our OWL members and guests to catch up and network. OWL member Pene Paik (pictured below, top left) provided us with great public speaking tips - it is always nice to get a refresher in this area, as well as learn something new. Thanks Pene! Another highlight of our evening was our annual door prize give-aways -- thank you to all who donated to make this a success! The Pau Hana is a great way for OWL members and guests to get to know each other. Offering an informal evening on the shores of Waikiki, the Outrigger Canoe Club is a special place to gather. If you couldn't make it to this event, look for information on our OWL Spring Mixer! A BIG thank you to our Pau Hana sponsor, Kaiser Permanente, for helping us enjoy our annual OWL Pau Hana and for their support for our organization. Pictured below, top right, is Linda Puu, RN, Vice President of Quality, Safety, and Patient Experience, representing Kaiser Permanente at our Pau Hana. The OWL Spring Mixer was a huge success with fun had by all. The event was hosted at Allison Izu retail and production studio in Kaimuki. In addition to great food by 12th Avenue Grill, yummy refreshing cocktails, fun networking and shopping, we also learned from the experts about colors and dressing for your body type. 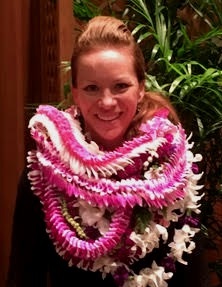 Mahalo for all those who attended and supported the event, especially Allison and her team.